Whether you print marketing materials or operational documentation, our digital printing firm can make the process seamless. 3rd Coast offers a complete menu of print services from business cards to books. Our friendly staff of graphic designers and production specialists are here to accept your files and produce the highest quality print collateral for you. Identity Materials – Representing your brand in print must be done with the utmost precision. When your brand matters and quality is your goal, 3rd Coast must be your partner. No other printer dedicates as much time and effort toward achieving perfection than 3rd Coast Imaging does. And we are proud of that. We deliver the highest quality business cards, letterhead, envelopes and folders. Marketing Collateral – Our goal is to make our clients look great. We “Print to Impress” When you need marketing materials – brochures, media kits, product manuals, direct mail pieces or convention take-aways – 3rd Coast is there to help you create pieces that will put your best foot forward. With access to the latest technology, our production specialists have more time to ensure your pieces are produced at the highest standard. Our jobs are completed in our state-of-the-art production facility equipped with the right tools to produce great work. 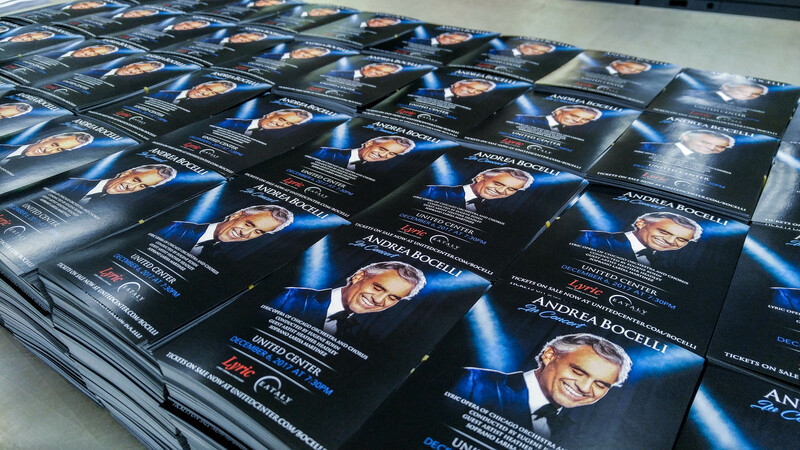 Book Production and Duplication – Whether you are producing a program for an event or a complicated tabbed manual, 3rd Coast Imaging has the digital printing equipment and experience to get the job done. We offer both black-and-white and color printing as well as a variety of binding options. For more information about our Color Digital Printing services, contact 3rd Coast Imaging and one our staff members will be happy to help you.